This past Saturday was an amazing day. I moved into this area of Brooklyn a little over three years ago (Jefferson to the Myrtle-Wycoff on the “L” train). There was basically The North East Kingdom and Star Coffee shop. Not much else but 99cent stores and bodegas as far as the eye could see. My husband and I waited with baited breath both for Barcey’s Coffee to open a bit closer down to our place and The Bodega Bar to open right at the 5 points on St. Nicholas and Troutman. Now we got Pearls Bar, Cafe Ghia, Uri’s, and Hanna Market. 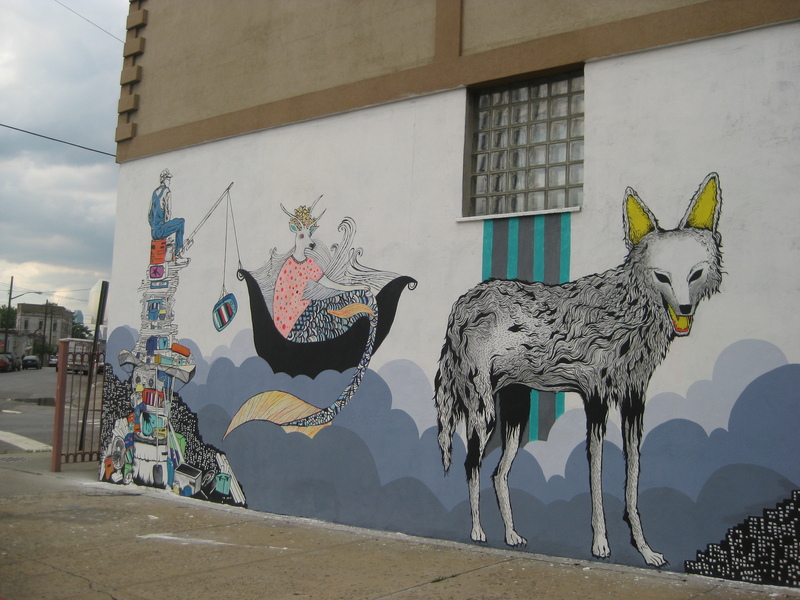 Arts in Bushwick has been working hard to colonize the neighborhood as a place for artists for years. I’ve participated the past three during the Bushwick Open Studios festival. 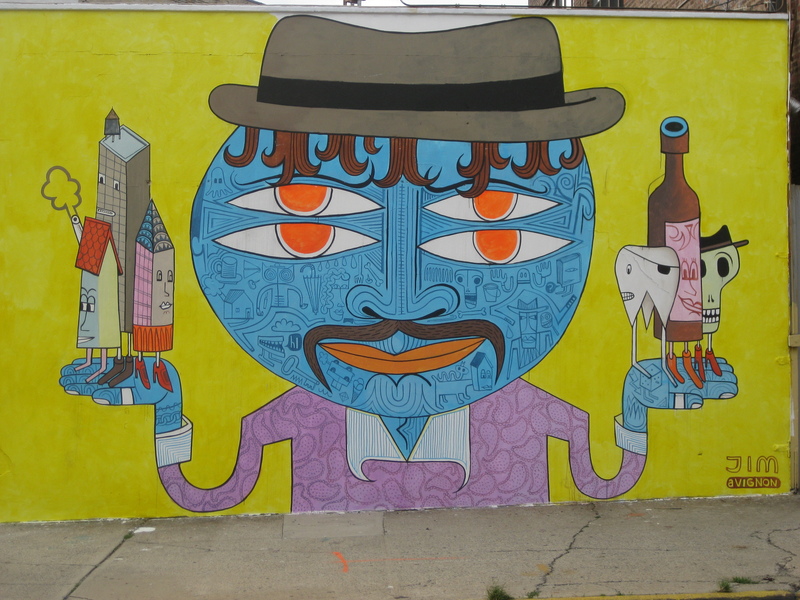 This year instead of hosting an open forum in my studio, I took part in the first year of the Bushwick Five Points festival down the block from my house. A local guy Joe whose family owns a bunch of buildings and land on the corners where St. Nich, Troutman and one small side street create a star intersection donated all his wall space to international graffiti artists. 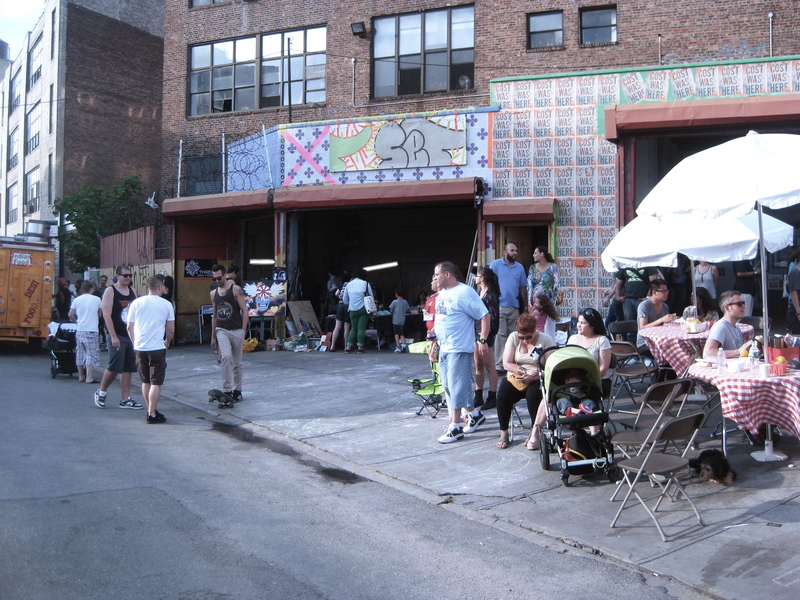 With the help of Brent, who lives in the lofts right there and Ben and Gina who own Bodega Bar on the corner, he threw an all day 10-8 FREE party for the community. Live bands and beer garden in the one open land triangle, graffiti murals being worked on all over, plenty of food trucks and local vendors. 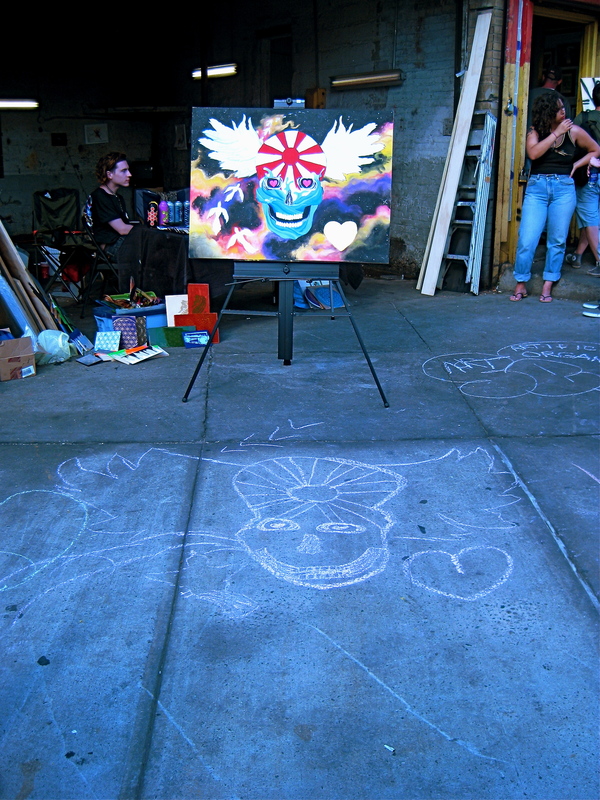 I was one of the vendors and also doing some live painting. It was gorgeous out and sunny, the streets were filled with hipsters, locals and families and plenty of Bushwick Open studio wanderers. 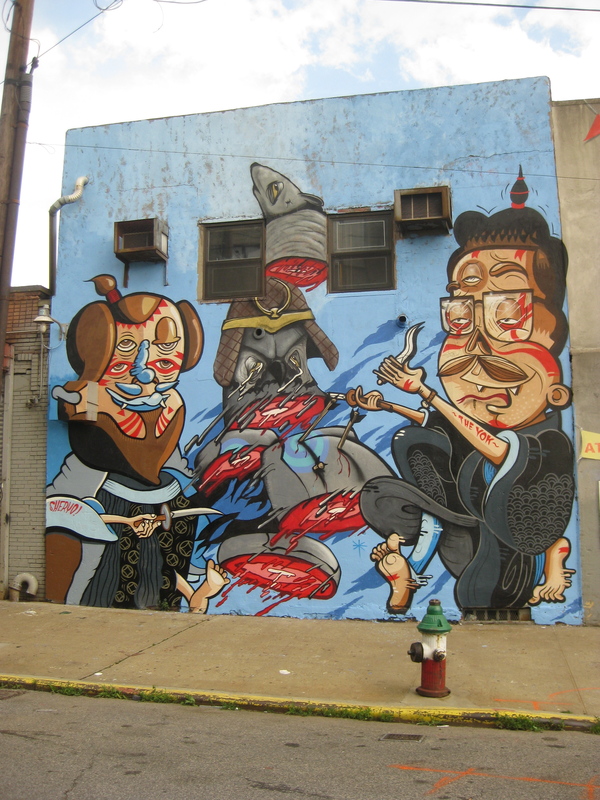 This entry was posted on June 4, 2012 at 8:00 pm and is filed under Community posts with tags art, Arts in Bushwick, astoria market, BOS 2012, Bushwick Five Points Festival, live painting, THREE Erin Cadigan. You can follow any responses to this entry through the RSS 2.0 feed. You can leave a response, or trackback from your own site.